Download "Introduction. Bolesworth International. Among the World s Best. Nina Barbour Show President"
1 Introduction Bolesworth International Bolesworth Castle in Cheshire is a well established show jumping venue, having hosted a leading National Show since It was a natural progression in 2014 to upgrade to CSI*** status, and put Bolesworth on the map as a key date in the International Calendar. Among the World s Best Horse & Hound June 2014 Nina Barbour Show President The Bolesworth International is the brainchild of Nina Barbour, based at Bolesworth and Managing director of the Bolesworth Estate, a thriving 6,000 acre rural estate. Our goal is always to deliver the best service for competitors, owners, spectators, sponsors and VIP guests, whilst hosting World Class sport at our stunning venue. We are located in a prime position with fantastic transport links, 35 miles from both Liverpool & Manchester International Airports. 2 Reaching the Top Of The World by th - 21th June, 2015: CSI4*/CSI2*/CSIAm 16th - 19th June, 2016: CSI5*/CSI2*/CSIAm The Vision As a CSI 5* show, Bolesworth International will command the media profile associated with a World Class sporting event. Attracting the World's best riders and their influential connections, Bolesworth International provides the perfect opportunity to showcase premium brands. 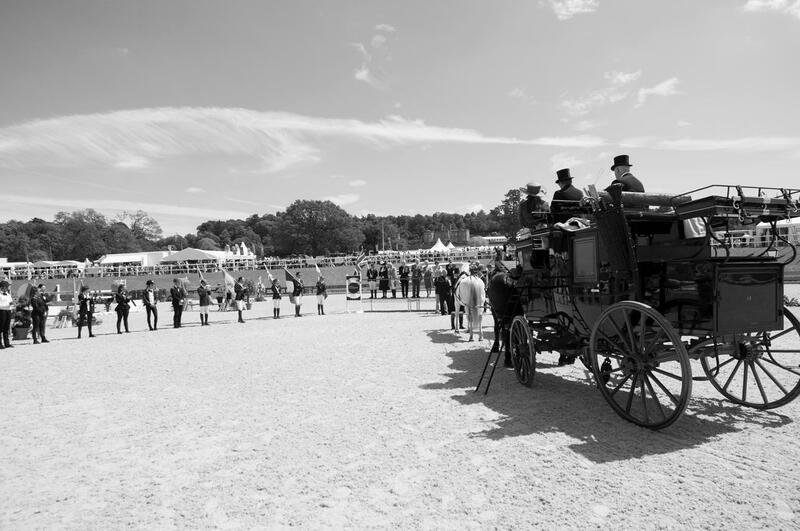 3 The Audience Reaching over 35,000 visitors plus 2,000 VIP guests and 500 athletes at Bolesworth, with the benefit of International Sky TV coverage, Worldwide live streaming and National Newspaper coverage. 5 Exciting times for Show jumping in the UK: The Sport Bolesworth International will be one of only three CSI 5* events in the UK putting us in the same league as Hickstead s Royal International meeting and the famous London Olympia Horse Show. Team GB are current Olympic Champions headed by Nick Skelton OBE Britain s Scott Brash is currently No 1 in the Longines World Rankings At a spectator level this exciting sport has a global reach and on-site at Bolesworth we have a footfall of 35,000 visitors. In the UK, over 4.2 million people participate in Equestrian sports, with over 17 million expressing an interest in non racing equestrian sport. 7 Bolesworth International provides top class VIP Hospitality in an unrivalled setting overlooking the main International arena with the backdrop of Bolesworth Castle. Enjoy high end networking opportunities within a relaxed environment. Hospitality HOSPITALITY Fine dining overlooking the main International arena whilst enjoying world class sport. Be part of the social scene at this exclusive event with access to high net worth individuals, business owners and VIP personalities. On Friday 19 th June we will be hosting our very popular Business Networking Lunch with guest speaker (tbc). VIP RECEPTION Wednesday 17 th June Entertain your guests at an exclusive VIP cocktail party alongside top riders & connections at Bolesworth Castle. EVENING ENTERTAINMENT Enjoy a full schedule of evening entertainment including a main ring display and after dinner entertainment, together with our feature Saturday evening concert. 8 Headline Sponsor As headline sponsor at Bolesworth you will have full naming rights to the event with unlimited branding opportunities. Global Brand Exposure Sponsorship of Grand Prix (feature of TV coverage) Bespoke Hospitality Package Our priority is to maximise the return on your investment with us by working with you incorporating your specific requirements. 9 Official Event Partner Sponsorship Be the feature sponsor of a day of International competition incorporating the sponsorship of a World Ranking Class. Official Supplier Brand exclusivity across the event to include promotional opportunities/ prime exhibition space if required. International Class Sponsorship Be associated with an International class on the day of your choice in either the CSI 4* or CSI 2* All packages will be tailored to suit your individual requirements including a variety of brand exposure and hospitality options. Bespoke Package Opportunities - Official Vehicle Supplier - Fine Food Marquee - Public Display Arena - Saturday Evening Concert - Bolesworth Castle Reception - Bolesworth Elite Auction - Business Networking Lunch Media Partner Benefit from exposure to 30,000 visitors, 2,000 VIP guests and 500 athletes at an exclusive location. 10 Benefits for CSI 4* Class Sponsors: Sponsors Pavilion Access to our Sponsors Pavilion within the main International arena for the duration of your class with full bar service. Opportunity to brand and present prizes. Be part of the press conference and champagne celebration with the winning rider after the class. We look forward to you being part of a race day at beautiful Broadmeadow. SPONSORSHIP PROPOSAL SPONSORSHIP PROGRAMME The London A Cappella International Summer School offers opportunities for sponsors to communicate to target audiences through tailored packages of benefits. Prime Kitchen Market Lead Generation BONANZA! GRAND DESIGNS LIVE MELBOURNE 25-27 OCTOBER 2013 To view in Full Screen Mode press Control+L (Command+L for Mac users). To exit Full Screen Mode press escape. Rochdale Literature & Ideas Festival Sponsorship Opportunities 19-24 October 2016 @RochdaleLitFest rochdaleliteraturefestival.co.uk Exciting and important it s time to shout about Rochdale s cultural heritage. Be a part of the largest State Fair in the country. 8 th Annual KidSport Charity Golf Classic Sponsorship Package The Event On August 29, 2013 KidSport will host the 8th Annual KidSport Charity Golf Classic in support of the KidSport program in Ontario. EUROPE Sponsorship Brochure. 17 May 2016 / Management Centre Europe. Brussels. BEFORE YOU. know it IT'S HERE. NATIONAL SALES Thursday 30 th November, Ricoh Arena EDUCATE MOTIVATE INNOVATE SPONSORSHIP PACKAGES The National Sales Conference is in place specifically for the development of the UK sales profession.